The Motor Trader Industry Awards 2018 concluded with a gala dinner, hosted by television presenter Hugh Dennis, at the London Grosvenor House Hotel. Hundreds of professionals packed out the venue for the Oscars of the automotive industry, which pays tribute to companies and individuals that can demonstrate excellence in their field and exceptional customer service. Held on the evening of England’s World Cup semi-final match against Croatia, the organisers took the decision to show the game during proceedings. Despite England’s disappointing exit from the tournament, the atmosphere at the awards ceremony was not dampened, as 28 accolades were handed to deserved individual and company winners. The winners were able to demonstrate high levels of customer satisfaction, loyalty and repeat business and have shown evidence of successful customer care programmes and CSI ratings. A team of roving judges visited the shortlisted companies and found the winners to be setting new benchmarks and raising the professionalism of the sector. Alongside sponsoring an award, Car Care Plan also secured a coveted place on the final shortlist for Warranty / Added-Value Insurance Products Provider of the Year. 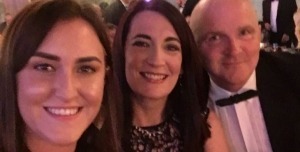 Representatives from the company attended the event but, unfortunately, didn’t take home the prize this year – still having a great night with colleagues from across the industry. For a full list of finalists and winners from all 28 Motor Trader Industry Awards categories visit www.motortrader.com.